We are WELL overdue for an update. So read on to find out why we’ve been absent from this blog for the last three months. Spoiler Alert: there’s nothing exciting, it’s just life (and laziness, maybe) got in the way. Yeah, ahhmm… when we arrived here in Dubbo we thought we’d just be here for 3 months, 6 months tops. That was almost 10 months ago. Yikes! Money – we can’t do much without it. I hear people proclaiming that you have to ‘live a life you love’ and all that. We’re trying very hard to create that life, but none of it happens without money. And so we work. We’ve both had part-time jobs here and there. Bringing in enough money to keep us sheltered and fed, but not much else. It’s allowed us time to work on other things (online business) and live a relaxed and easy life. But that life doesn’t feed much into savings. In the last couple of months I’ve had a temping contract that keeps getting extended which is good, but there always seems to be more work to do and my part-time hours haven’t been as part-time as I’d like. All good though. In June I started a Pinterest Virtual Assistant business (by ‘starting a business’ I mean that I set up my website michellerudge.com and told people I was looking for virtual assistant work :-O) While I don’t have any specifically Pinterest-only clients yet, I did manage to pick up a job managing the Instagram account for a blogging friend of mine who is based in the United States. I work between 20-40 hours per month and can fit it into my day in whatever way works for me. I hadn’t done very much in Instagram (just check out the @benandmichellerudge Instagram to see how useless I was at it) so that first month was a baptism of fire. I had almost no idea what I was doing and everything took foreverrrrr because I had to learn how to do it first, then had to figure out the best way to do it… then I had to remember it for the next time. The follower count has grown from 8k when I took over the account, to almost 20k, in just two months. And oh how I wish I could take credit for all that growth! But let’s be honest, it had a very good base of followers already, and just the fact that I’m consistently posting (once every day plus stories) is the reason it keeps on growing. 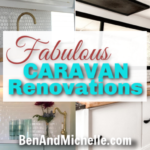 Follow @RVinspiration if you love seeing renovated RVs. It’s mostly huge behemoth motorhomes and fifth wheels based in the U.S, but they’re perfect for getting design ideas and inspiration. In my post about how we make money, I mentioned that I had just started putting ads on my other blog RVObsession.com. It was going great guns for a little while (ummm, for like a month) and it earned me a nice little sum. But summer arrived in the USA (my main market) and everyone went on holiday. Every. One! 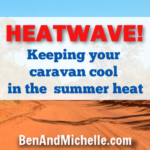 My traffic from Pinterest dried up like the central NSW drought (nah, it wasn’t THAT dry, at least I had some dribbles of traffic) and I’ve been too busy to focus my attention on the blog. But now that things have settled down a bit, I plan on ramping things up on that blog. 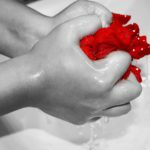 And this blog! 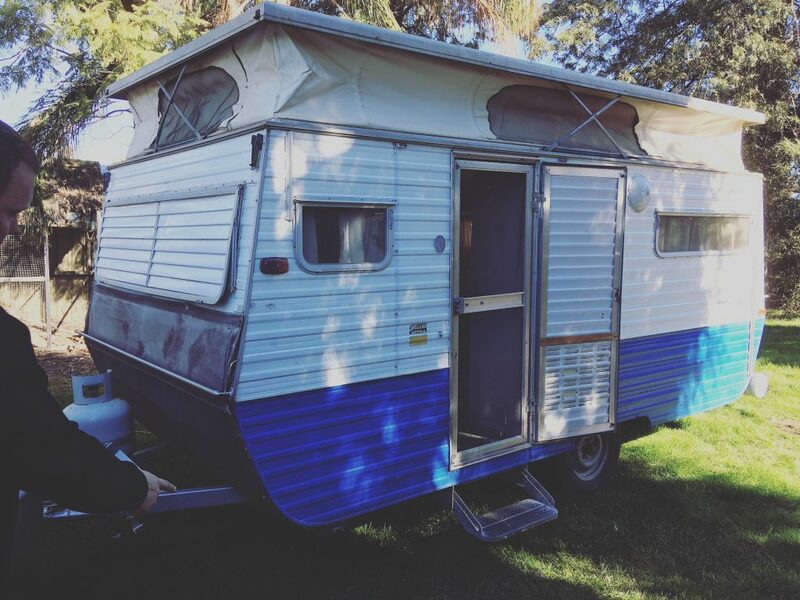 And I’ve saved the best till last… we (finally) bought a caravan! 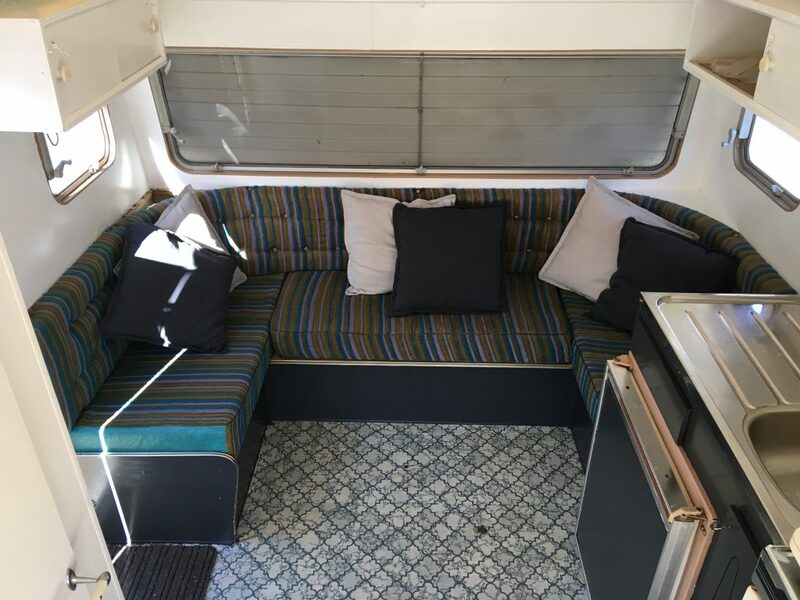 She is a tiny 16ft 1979 Millard pop-top caravan which we picked up for a remarkably reasonable $3k. For an old girl (almost 40!) she’s still in really good nick; the fridge still works, and the gas stove and oven (yay!!) still works and the upholstery has no holes or rips in it, and it’s not a hideous pattern either… we seriously lucked out on that front. We gave her just a quick interior paint job (and when I say ‘we’, I really mean ‘I’. Ben was off working each day while I happily played in our new caravan) and that’s all we had time for before moving in! We’ve been living in our tiny caravan for about six weeks and we’re happily ensconced in the local caravan park. Downsizing – I’m kinda horrified at how quickly you can accumulate stuff. I mean, we came to Australia with a couple of suitcases just one year ago and moved into a camper trailer. How could we possibly need to downsize? Living small – our home is smaller than most peoples bedrooms (2m x 4.8m) so we’ve had to learn to put things away after we use them (cough, cough BEN!) and to consider each other when we’re trying to move about (ummm, I’m still working on that). But you know what, it’s working; and we’re very content in our very small home. Shopping small – our fridge is tiny, we’ve two tiny cabinets for food and dishes. So we shop every second or third day. And for everything we buy (whether it’s food or other things) we have to think about how on earth we’re going to fit it into the caravan. Side note: our car is full of all the things we can’t fit in the caravan. Oops, we’ve still got a bit of downsizing to do. Our caravan has been the best thing ever. We love it. 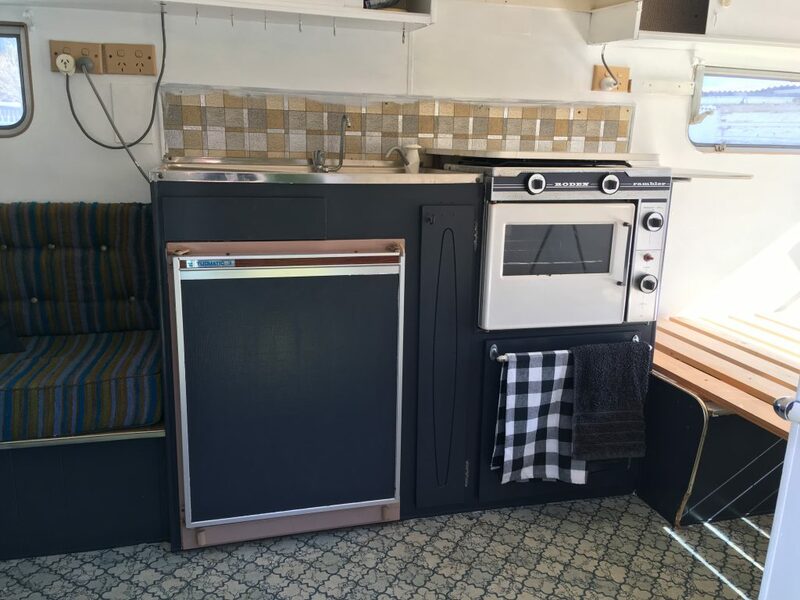 It’s not the perfect caravan, heck it doesn’t have a bathroom, so it’s far from perfect! But I think that for us, it symbolises what we’re trying to achieve, and that’s freedom. 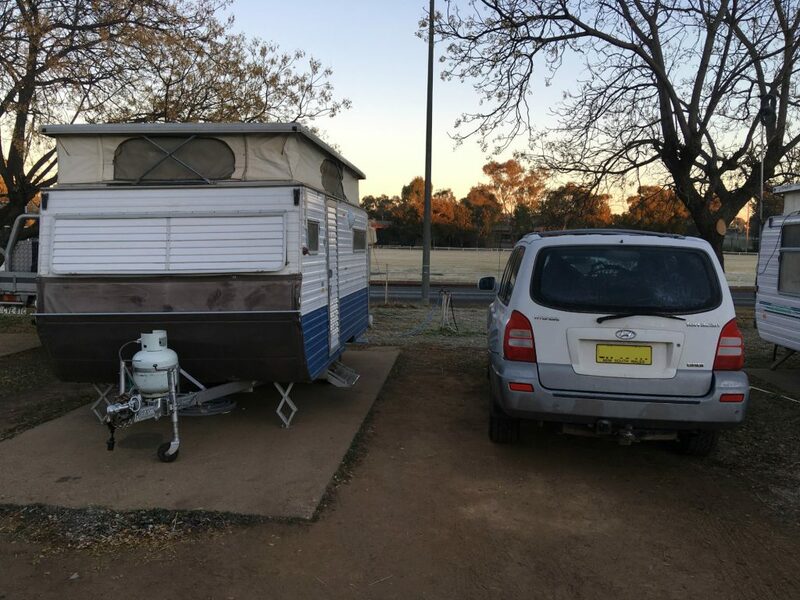 It’s given us the freedom to go anywhere in Australia now, and no matter what we decide to do, we’ll have somewhere to live that’s both cheap and comfortable. We’re both keen to head back to the coast soon-ish. This ‘living in the middle of the country’ and ‘5 hours drive from the beach’ has been good, but we’re both hankering to be by the sea again. So maybe Newcastle will be next on the list as there looks to be quite a lot of work there for both of us. No promises though, we just take it day by day. 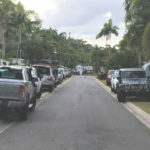 Now that we’re all caught up with our un-exciting lives, I’ll get back to writing some helpful articles for those that are keen to head off on their own Aussie road trip.